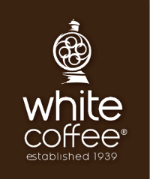 LONG ISLAND CITY, N.Y., Sept. 12, 2014 /PRNewswire-USNewswire/ -- White Coffee Corporation is "all shook up" about the introduction of Elvis Coffee this fall, and trusts retailers and consumers will be excited, too. The new line features four varieties highlighting Elvis Presley's unique taste and charm: the creamy and delicate "Viva French Vanilla"; the very smooth and bold "Blue Hawaii Kona Blend"; a Taking Care of Breakfast "TCB Breakfast Blend" and The King's Favorite, "Peanut Butter Banana." Each variety features the likeness of Elvis on the bag.